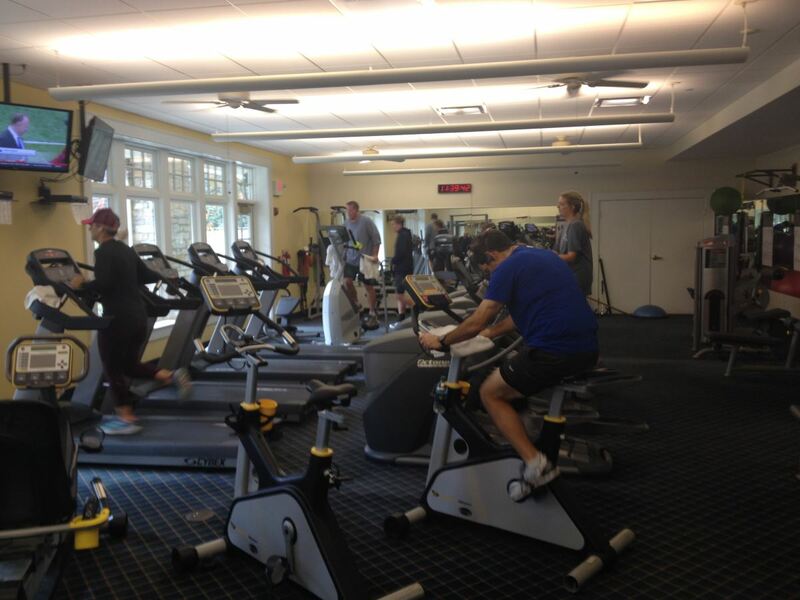 The Fitness Center is 1500 square feet and equipped with state-of-the-art fitness machines. 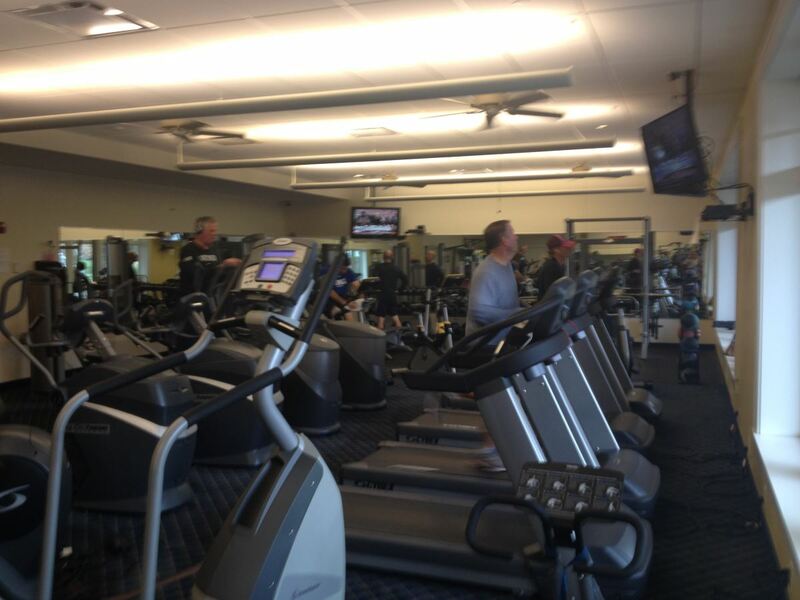 While working out, members enjoy catching up on their favorite programs on the numerous flat-screen televisions. The selection of Cardio machines, strength training stations, and stretching areas all provide the complete workout experience. There are classes available for members to sign up if they want to try out Yoga, Cardio training, or even take advantage of a personal trainer.